As both a Unitarian Universalist Minister, and as a Reserve Military Chaplain, I have conducted over a doze n military funerals and memorial services. They were all for veterans of WWII, of Korea, and of Vietnam… I’ve never been called upon to lead a memorial service for any of the soldiers killed in Iraq and Afghanistan, although I have attended a few… for friends of mine killed in these wars. It was a moment for me, during the Chaplain School, when I realized that soldier… that soldier who in that moment represents our entire nation’s grief and loss at the death of someone who we sent off to war… It was a moment for me to realize that that soldier was now me. I have now taken that knee and said those words over a dozen times to different families, some of them I had known for months and some of them I had only met an hour or so before. I have looked into the eyes of wives and daughters, of sons and grandsons, and in one case of a husband, and said those words that carry the weight of all of the grief and loss our nation holds because of the wars we have fought. None of the soldiers, sailors, airmen, or Marines I have led the memorial services for died in combat. They all made it home alive. Some of them were wounded physically and spiriutally, but all had the experience of rebuilding their lives once they returned home to the United States. For some, they lived with their military service everyday. For others, they had put it behind them, as much as they could, and had built lives for themselves and their families that were quite separated from their military service. But in every case, those words were a blessing to each of the families, as they have been a blessing to me. During the summer of 2009, I was chosen for a research fellowship at the National Defense University in Washington DC, which is basically the senior Graduate School of the U.S. Military. I was a researcher of the Institute for National Security Ethics and Leadership, led by General Colin Powell. It was an amazing experience, to spend a summer researching and writing about how people could be more resilient to trauma, and much of my pastoral practice arises from the lessons of that summer. But the greatest blessing to me from that summer happened not at the National Defense University, but at Arlington generic imitrex cost walmart National Cemetery. And then they would go do it again. And again. And again. Each and every day. Through rain, through mud, and I bet through snow, although I was not there for that, these few Chaplains, as there are only 4-5 of them at any one time, they each say those heartbreaking words 4-5 times per day. I guess you could say those chaplains are among my heroes. Always polished, always perfect, always knowing that, in that moment they represent all of us, the entire United States. It is not about what anyone feels about this war or that war… it is simply about the grief and responsibility our nation has for those we send off to war. And these few chaplains carry that grief and responsibility, each and every day. As I walked those fields of Arlington National Cemetery, in my dress uniform those four days, I began to notice something… something familiar that I did not expect to see. It took me awhile for my mind to register it. Everywhere I turned, amid all the crosses at the top of each grave marker, I began to see chalices. Oh, I intellectually knew they would be there. 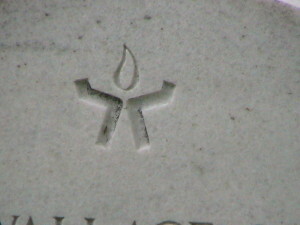 I remembered that Chaplain Cynthia Kane, a Unitarian Universalist ministerial colleague and now a dear friend of mine, I remembered that she worked really hard to have the VA and the DOD change from the older chalice made of two hands coming together, to the newer chalice with its dual merged rings, representing the merger of Unitarianism and Universalism. But I honestly thought I would not find any. I thought they would be rare. And yet, as I walked those fields and in the Columbarium of Arlington, I kept seeing them. Chalices, of both kinds, atop marker after marker after marker. I was more than surprised, I was shocked. 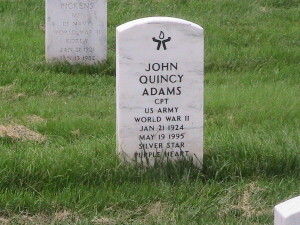 It was on the fourth day that I realized that there is probably nowhere on earth with a greater number of chalices than Arlington National Cemetery. And so, over the next two weekends I walked the grounds of Arlington, and took pictures of every gravemarker I could find with a chalice, numbering well into the hundreds. The record I created that summer of Unitarian Universalists buried at Arlington National Cemetery does not include all of the Unitarians and Universalists from the Civil War, because faith symbols were not placed on the markers back then… but we know that many Unitarians and Universalists fought for the Union in that war, and died for their belief both in this country and in ending slavery. We have in some ways lost this understanding of ourselves, of our liberal religious faith movement. No matter how we might feel about war, or how much we might desire peace, in each and every generation when a call has been made by this nation, Unitarians, Universalists, and Unitarian Universalists have answered that call. 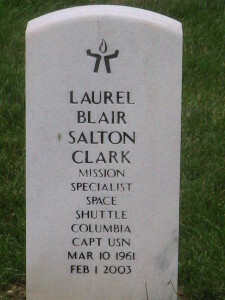 From Army CPT John Quincy Adams, a Silver Star and Purple Heart winning soldier of WWII, to Navy Captain Laurel Blair Salton Clark, who was the Mission Specialist aboard the Space Shuttle Columbia when it exploded on February 1st, 2003, Unitarian Universalists have served this nation, and died for this nation, with honor and distinction. 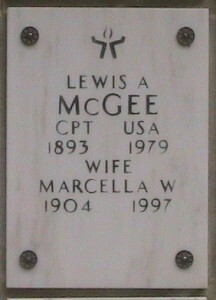 At Arlington I found the grave marker of one Captain Lewis McGee, a soldier and a military Chaplain in both WWI and WWII, who after the war became a Unitarian Universalist Minister in Chicago and Los Angeles, one of our first ministers of color. I studied his life and his ministry when I was in seminary, and when I turned around and found his gravemarker at Arlington, I was struck with the same kind of sacred silence that many often feel at the Vietnam Wall, or the WWII memorial. If there is a Unitarian Universalist War Memorial, I believe it is the collection of UU grave markers at Arlington National Cemetery. Our memorial is all of those of our Liberal Faith who have served our nation, including those who died in that service. I have a dream, a dream for our faith tradition, that we can heal the dissonance that I feel exists between the history of Unitarians, Universalists, and Unitarian Universalists who have faithfully served our nation, in Peacetime and in War… and our liberal faith movement’s vision of a world at peace, where there is no more war. 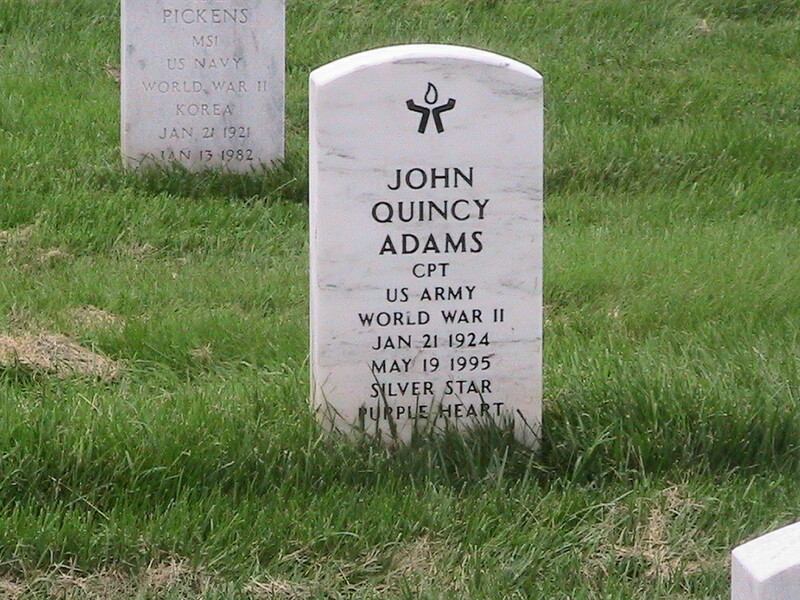 I believe we can hold in our hearts the memory and the honor of those tens of thousands of Unitarian Universalists, like Captains Adams, Clark, and McGee, who have through love of country and through their liberal faith felt the call to serve in peacetime and in war… and still be a liberal faith tradition which dreams of a world at peace. And in that moment I pray that we are then able to love and honor their service to us all… and know that by doing so we still hold to the dream of a world at peace and made whole.